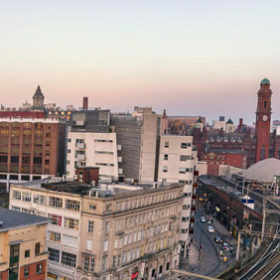 Home to musical legends, a mighty industrial history and unreservedly proud locals, Manchester is a bustling, creative hub in the heart of the North West. 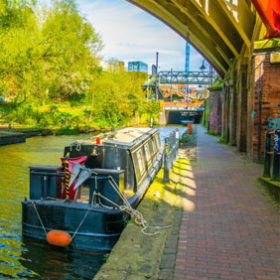 Within driving distance of the sprawling hills of Lancashire and the historic county of Staffordshire, this charming city is the perfect spot for an English escape. Manchester is a city with a difference. Think lively modern streets, buzzing bars and restaurants and all the history you could ever dream of – all perfectly combined with gorgeous greenery, peaceful corners and tranquil gardens. 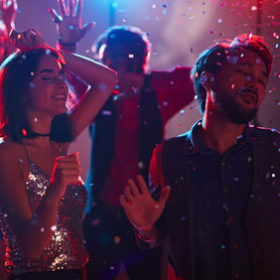 However you choose to spend your time in the city, be sure to do it in style with luxurious large group accommodation in Manchester from kate & tom’s. Six-bedroom Manchester party pad with pool and hot tub. 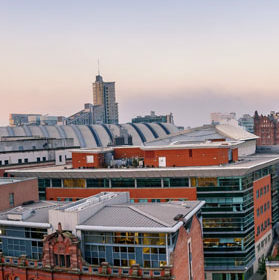 Manchester has a rich and influential industrial heritage, which it shows off with pride. Discover just some of this history with a free trip to the Science and Industry Museum, housed inside an 1830 train station. The kids will love exploring the vintage vehicles and planes, learning about the science behind fun activities and taking part in all kinds of science-themed games. Ready for more? 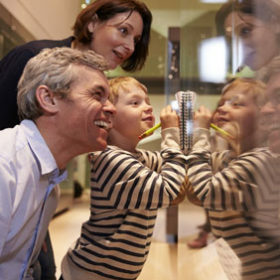 Head to Manchester Museum to see a wide-ranging global collection of natural history – from dinosaurs to mummies, all at home in a stunning neo-Gothic building. 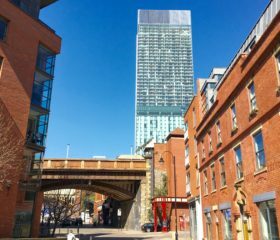 The city of Manchester is filled with beautiful architecture, perfect for a glorious day wandering the streets. 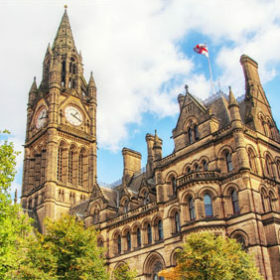 Spot the Town Hall, a breath-taking Victorian building, the ceremonious home of Manchester City Council and a number of local government departments. Or, head even further back in time at Manchester Cathedral. The iconic place of worship can be dated as far back as the 8th century and is open for guided and solo tours daily. 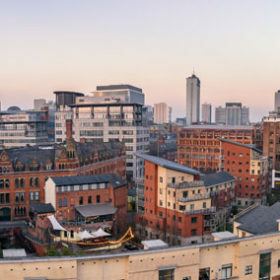 While Manchester has its place in English history, today it is known globally as a modern, vibrant and cultured city. Looking for an exciting and unique night in Manchester? The Northern Quarter has something for everyone. The trendy neighbourhood is packed with buzzing bars, bohemian restaurants and independent boutiques, just waiting to be explored. 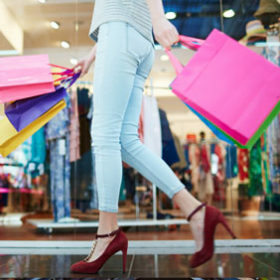 Or, discover your old favourites at Manchester Arndale, the perfect spot for an afternoon in the shops. Whether you’re red or blue, or something else entirely, you’re bound to lose yourself in the world of football in this sports-loving city. Take in a game in the largest club football stadium in the UK, Old Trafford, and discover United’s long-standing victorious history. If blue is more your colour, head to the Etihad Stadium – the home of Manchester City with behind-the-scenes access and tours. 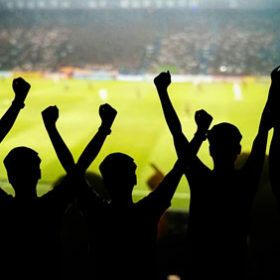 Whether you’re a die-hard United fan, a long-standing City supported or an impartial football fanatic, the National Football Museum is a true display of the locals’ love for their teams. Past and present football exhibitions, a kids’ discovery zone and skills-testing simulators – this modern museum is great for a sporting afternoon in the city. 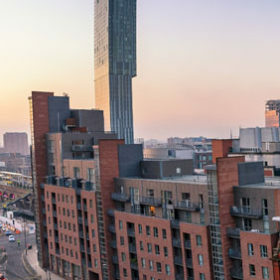 Whether you head out for an indulgent meal in the Northern Quarter, enjoy a traditional chippy tea at home or make the most of our private chefs, Manchester is a food-lover’s dream. 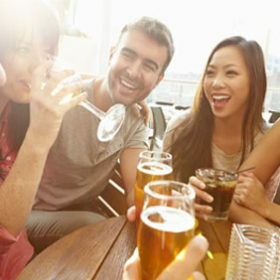 And with gin, real ale and cocktail bars galore, you’ll be able to find the perfect tipple to wash down your delicious meal. Wander around the city and see the impressive transformation from industrial centre to vibrant culture hub for yourself. 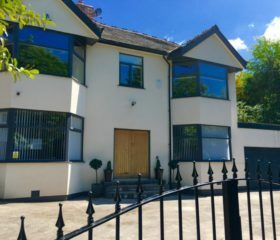 Whether you’re travelling with friends, bringing the kids or staying for a party with the whole family, you can find the perfect accommodation with a range of Manchester holiday cottages at kate & tom’s. 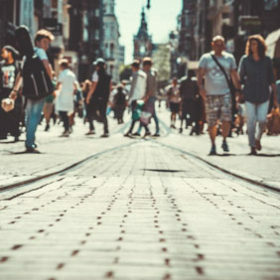 From nights on the town to days out in the city or afternoons wandering the shops, Manchester has something for everyone. And there’s no better way to see the city than from the comfort of a luxury holiday cottage from kate & tom’s. Large group accommodation, modern country houses and traditional suburban cottages – we have the perfect holiday home for every group. Simply get in touch with our travel team today and we will start planning your dream getaway in Manchester.